One of the hardest parts of selling your home is all the unknowns: Who will buy your place, and for how much? How long will it take? That uncertainty might make you particularly eager to soak up advice from just about anyone who's willing to share. Problem is, just because your sister or co-worker swear by certain rules that worked for them, it doesn't mean they'll be a magic solution for you, too. Fact is, a lot of the real estate advice circulating out there is outdated, region-specific, or just plain wrong. 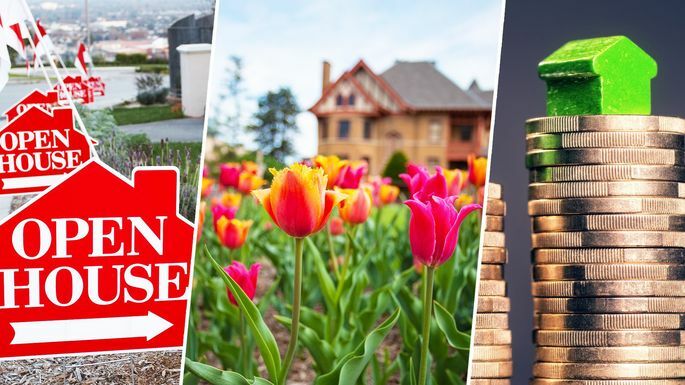 As proof, check out this list of tips that many home sellers hear ... then learn how these words of wisdom don't always hold water. Let this serve as a reminder that when selling a home, you should take everything you hear with a huge grain of salt. "January is a great listing month," she points out. "People are back from the holidays and ready to start looking." Well, at least in places that don't have a nasty winter, like Miami. Which makes a larger point about real estate advice in general, Aponte says: Every market is different, and what's great advice in one area can be terrible advice in another. Besides, when it comes to deciding when to list a home, there are two sides to the coin. Busier times mean more buyers, but also more sellers and more competition. Listing your home when inventory is low could snag the right buyer quickly. Life is unpredictable, and there will always be buyers looking in the "off season," too. Open houses are exciting, akin to a debutante ball where your home makes its fresh-faced appearance to scads of suitors all at once. And that's fine, but don't expect this to be the venue where you find "the one" who makes an offer. While that can occur, open houses are more like parties, filled with swains who aren't ready to settle down, says Anita Clark, a real estate agent in Warner Robins, GA. Serious home buyers will more often request a private one-on-one showing instead. Of course, you don't want to skip the open house entirely. It's a great way for people to browse, and hey, you never know. Maybe your looky-loo neighbor has a family member who would love to buy your place after all. But it's time to let go of the idea that an open house is a key step on the road to your ultimate buyer. "A lot of people don't understand that an agent's job is more than just listing the home on the MLS," says Aponte. Agents' commissions pay for their time and for marketing materials. Posters, flyers, broker open houses, and yard signs all come from the money you pay your agent. But beyond that, "it gives your agent the power to offer money to other agents who have qualified buyers," she explains. That's because the buyer's agent and the seller's agent split the commission. Though in an ideal world, buyers' agents would show them every property in their price range, regardless of commission, unfortunately it doesn't always work that way, says Aponte. "So if there are a lot of properties on the market and you're only offering 2% commission, there are agents who won't show that property," she says. "I want to sell your property for a million dollars too, but I would be doing you a disservice to price it that way if the comps are saying $500,000," says Aponte. Home buyers are highly sensitive to overpaying, and will quickly steer clear. And the longer your house sits on the market, the more buyers will begin to think something's wrong with it ... and lob you a lowball offer. "Beware of 'future' predictions that don't come from a reputable source," says Dillar Schwartz, a real estate agent in Austin, TX. Sure, your brother-in-law or best friend might be trying to help, but keep in mind that their armchair philosophizing about the future of real estate is just an opinion—nothing more.